I always like to help fellow bloggers out and so I'm helping to cross promote this giveaway. I hope you enjoy her review and giveaway! A few months ago, I stumbled across this awesome offer for a free months worth of Rejuvasea skincare products. I figured it was too good to be true, but signed up anyways. About 2 weeks later a box with 3 products showed up in my mailbox. I couldn't wait 'til bedtime & I immediately tried out my new score. I started with the exfoliating cleanser, the first thing I noticed was the fresh, clean scent. It kinda smells like rain, if that makes sense. It has a grainy texture for gentle exfoliation of the dead skin cells, but it's not overly rough, even on the delicate skin under the eyes. It left my skin feeling so smooth and squeaky clean, without any residue. The second step was the Firming Serum. I was pleased to find that it had the same fresh scent as the cleanser did. The directions say to use it twice daily, after using the cleanser. It can be used alone or under makeup. It's not greasey & absorbs quickly. The third step is the 2 minute eye lift. I kid you not, when I say I noticed a visible difference in the tiny lines around my eye. I'm just now at the age where those tiny lines are kinda bothersome, so I was really impressed by this. It felt really nice & cool as I applied it and it didn't burn or sting at all. I love the fact that these products contain all natural ingredients, my skin can be kinda sensitive, so this is a major plus. RéjuvaSea is an ocean-based, nutrient-enriched powerhouse of anti-aging that doesn't just try to erase the symptoms of aging skin... it helps to reverse the causes to give you healthier, younger-looking skin, taking years off your appearance and giving you confidence like never before. By literally replicating the Veta de la Palma ecosystem in their state-of-the art research facility, We were able to create RéjuvaPlankton, the key ingredient in the RéjuvaSea Complete Skin Nutrition System. RéjuvaPlankton, combined with the other nourishing botanical ingredients found in the Réjuvasea system, stimulate collagen production and increase cellular metabolism in your skin to give you a potent tool to fight against aging skin as well as everyday skin damaging factors such as smog, smoke, the sun and stress. Pollutants that contribute towards an uneven complexion, and those annoying spots that keep appearing. 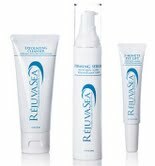 With regular use, RéjuvaSea will help you achieve healthier skin for a more youthful and vibrant complexion. Are there any potential allergens in RéjuvaSea? RéjuvaPlankton, the essential ingredient in RéjuvaSea, is an ocean-based, natural plant. There are no known allergens in RéjuvaSea for common allergies, but if you are prone to allergies in general or are allergic to seafood, please check with your doctor prior to use. Can RéjuvaSea be used on dark complexions? Yes, RéjuvaSea can be used on all complexions and skin types, because it works by delivering nutrients deep into your skin cells, leading to healthier skin no matter what your complexion or skin type. The wonderful people over at Rejuvasea are allowing me to offer 4 complete systems per every 100 "likes" they receive through this giveaway, so your chances of winning are great!!! What are you waiting for, go get those entries in!!! a Rafflecopter giveaway *Disclaimer: I was not financially compensated for this review, this is just my opinion and yours may differ. Jerri1962@hotmail.com Thank you. 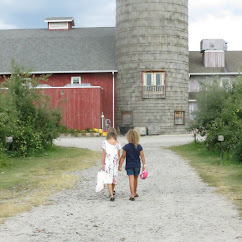 Jerri Davis @exoria62 on twitter..http://www.jerri1962sblog.blogspot.com/Please GFC join me.